Happy 4th of July, everyone! I know you're all probably at cookouts and what-not, but I couldn't resist sharing this blog post today. Today is Lola's actual 1st Birthday! Happy Birthday, Lola! I knew I had to blog her session today because I wanted to share as many photos as I could! I've been photographing Lola since she was still growing in her mom's belly! I took moms, Kendra's, maternity photos in June of last year. Just a couple of weeks before Lola was born. The maternity session took place outdoors on the beach at sunset, and I still love them to this day! Mom had signed up for my Grow With Me Package, which is an entire year of photos! I have been able to capture maternity, newborn, six months, and now one year. I remember Lola's newborn photos so well, she had a gorgeous full head of hair already! I can't believe an entire year has just flown on by! I'll be sure to share some comparison photos throughout the blog! For Lola's cake smash theme, mom Kendra messaged me with a unique idea! Kendra wanted something different and unique, so she wanted a DONUT Smash instead of a cake, and I LOVED it! The donuts were made by the awesome donut shop PVDonuts located in Providence, RI. I personally love their vegan donuts! This is probably one of my favorite cake smash sessions to date. 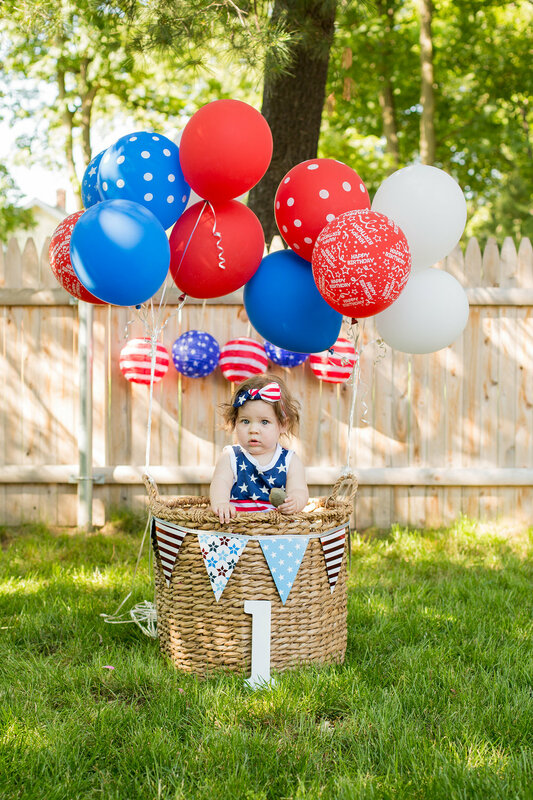 Fun themes such as this are always so fun to plan! 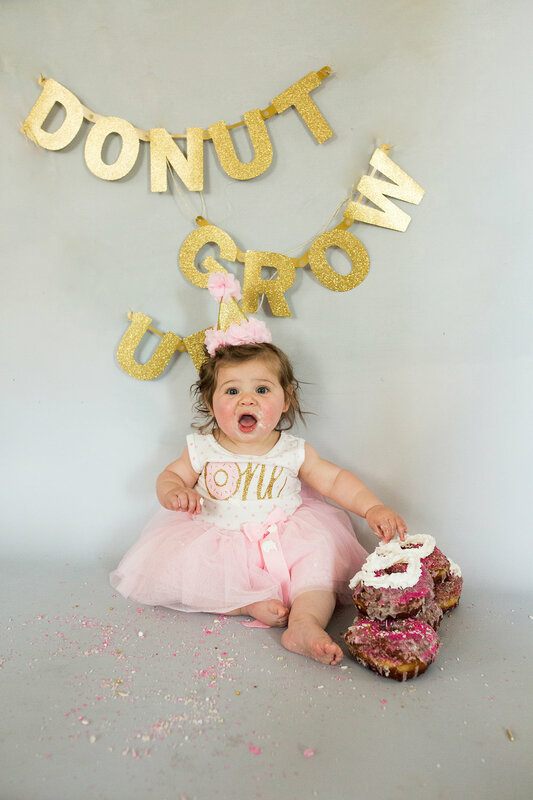 Here are lots of photos from Lola's one year photos, and her donut smash as well. I hope you enjoy them as much as I loved capturing them. And a very, Happy, Happy Birthday Lola!